Observed in a garden near ponds and stream at Naiberi River Camp, Eldoret, Kenya, October 2010. Wing span is approx. 5 cm. 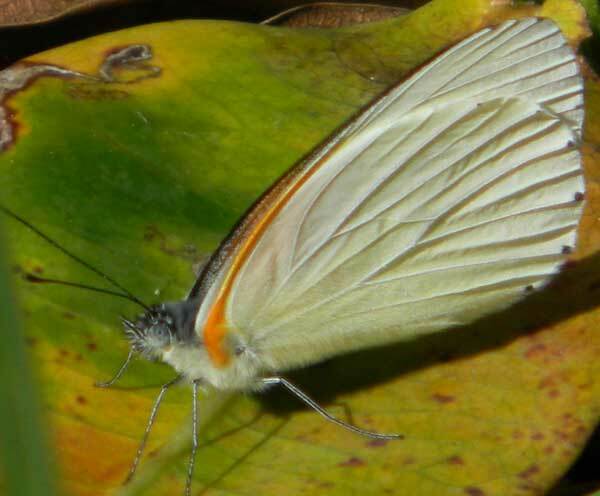 Elevation at Naiberi is 2350 m.
Typically the pierid butterflies perch with wings held folded above the back. This can make specific identification based on a photograph difficult because there are many similar species and the top side is obscurred.